© AFP 2019 / STRINGERSaudi Arabia Discovers Large Quantities of Gas in Red Sea – Minister“The oil sector generates a lot of cash, as oil is at the same time a non-renewable commodity and the most important energy source, with about a 33 percent market share on the world energy scene,” Perrin explained. Effective management, and the company’s status as Saudi Arabia’s monopoly producer and exporter certainly didn’t hurt, the expert added. “No other national oil company can today really compete with Saudi Aramco in the oil sector. As far as the largest international oil companies are concerned, their oil and natural gas reserves and production are much smaller. So far there is only one Saudi Aramco in the world and this situation will not change overnight,” Perrin stressed. © FOTOLIA / MARRAKESHHSaudi Arabia to Produce Oil With ‘Near Zero’ Emissions – Aramco CEODr. Salameh urged caution regarding Aramco’s overall balance sheet, however, saying that appearances can be deceiving. 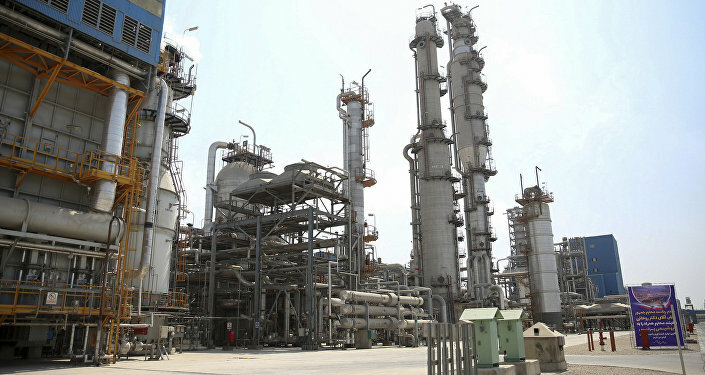 In particular, he noted, “there are persistent question marks about the actual size of Saudi proven reserves.” Pointing out that the recent 270 billion barrel reserve estimate was arrived at by auditors with long-standing ties to the company, Dr. Salameh estimated remaining proven reserves at “no more than 70-74 bb,” which he calculated based on production and average annual depletion since the discovery of oil in the country in 1938. © AP PHOTO / IRANIAN PRESIDENCY OFFICESaudi Arabia Plans to Slash Oil Exports to US – ReportsLast month, Saudi Energy Minister Khalid al-Falih said Saudi Arabia was on track for an initial public offering (IPO) by 2021, with analysts estimating a total valuation of $1-1.5 trillion, and the Kingdom itself estimating a valuation of $2 trillion.